When you shop for home security, you’ll see the term “Powered by Alarm.com” a lot. What does it mean—and why should you insist on it? In a technical sense, it means the ‘brain’ of a particular security system is the Alarm.com platform. This cloud technology processes billions of data points from millions of homes and turns them into smart home actions that make life safer and easier. But there’s more to it. 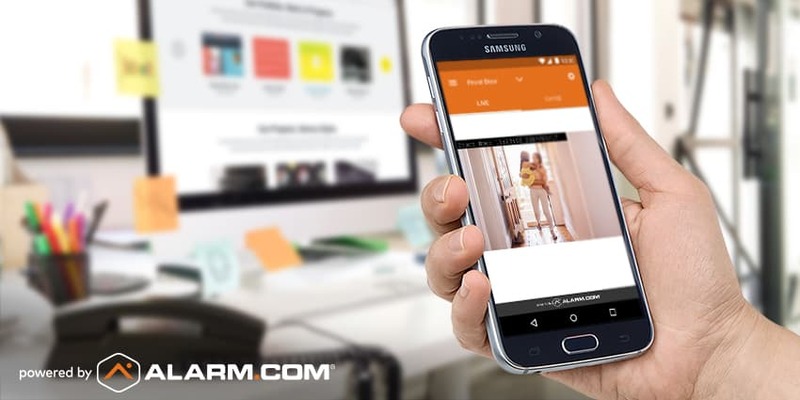 “Powered by Alarm.com” also means a better, smarter home security experience from start to finish, with professionally serviced technology giving you more benefits every day, armed or disarmed, home or away. Here’s what you get when you choose Powered by Alarm.com. Alarm.com technology is sold by service providers. These professionals ensure that you have a great experience from start to finish. 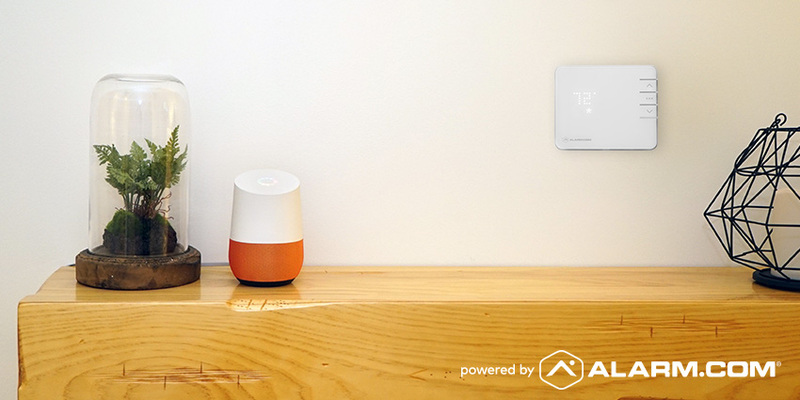 Unlike standalone device retailers, they connect and configure all your equipment to work together, using advanced installation apps and other tools, so you don’t encounter smart home frustration. For true emergency protection, professional security monitoring is part of the service with all Alarm.com-powered security systems. Here’s why professional security monitoring matters. And the service doesn’t end there. With dedicated customer support for the life of your contract, you can turn to your service provider if there’s ever a problem with your equipment. Better security and safety technology is at the heart of everything we do. 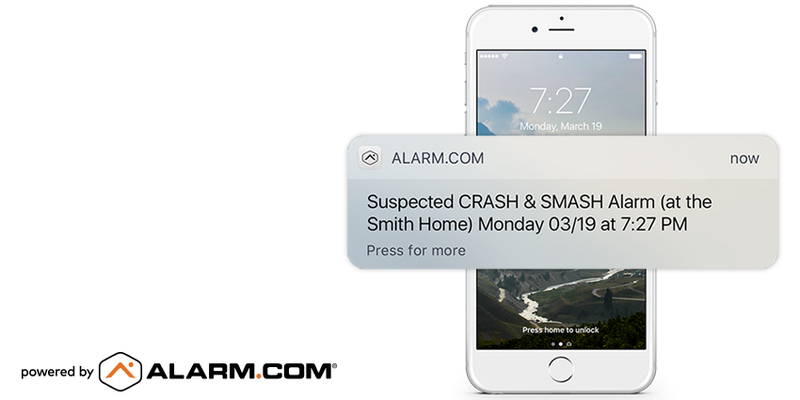 A security system powered by Alarm.com comes with best-in-class safeguards like a dedicated cellular connection that can’t be physically cut, Crash and Smash protection, and Unexpected Activity alerts that give you early warning of danger. 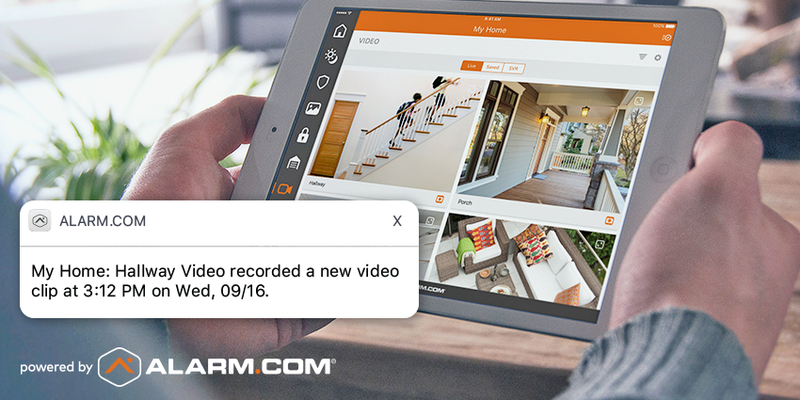 An Alarm.com-powered security system can also be upgraded with smart devices that enhance your family’s protection. You can add a video doorbell to protect your front porch from suspicious visitors, a smart lock to protect your online shopping, and smoke detectors to protect you from accidents. You can even have water sensors to protect your floor. Of course, there’s a full range of Alarm.com-powered security cameras too. Here’s why Alarm.com-powered cameras are better. Every “powered by Alarm.com” item in your home is controlled by the same app. Compared with smart home setups where every device has its own app, it’s incredibly simple and easy to use. A couple of taps on your app is all it takes to arm your security panel, let a visitor in, turn the lights on, view a video feed, or activate a complex Scene where several devices respond to one command. This simplicity doesn’t mean you have less choice on how to control things, though. We have different versions of the Alarm.com app for smartphones, tablets, desktop – even Apple Watch. If voice control is your thing, you’ll love our updated Alarm.com Skill for Alexa or our Google Home Action. Alarm.com-powered smart home devices stay cutting-edge for longer. That’s because our technology enables digitally-delivered upgrades that give you new features and abilities. These upgrades maximize the life of your investment and ensure that you’ll always have the latest smart home security technology. Want a home that’s powered by Alarm.com? Trusted by millions, our approach to smart home security is designed for homeowners who want smartest security technology without the stress of going it alone. To get started today, enter your ZIP code below and connect with a service provider.